Just outside the little village of Fort Ransom tucked away in a small valley in southeastern North Dakota lies this barn. This one, like others I have found, lies abandoned with its only companions being time and the elements. 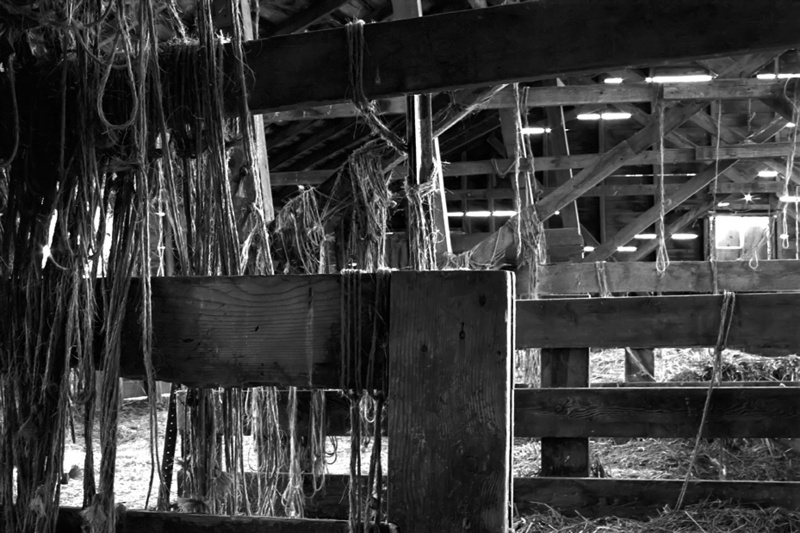 This collection of twain “All Tied In”, probably left over from hay bails, created an excellent 6-second long photograph of texture & contrast in this old barn.